Sight Fishing At It’s Best!! Shared experiences and making memories with others who share your passion and do it at an exceptional level is what it’s all about! Had a blast with Capt Jordan Todd and Murphy dog!!!! 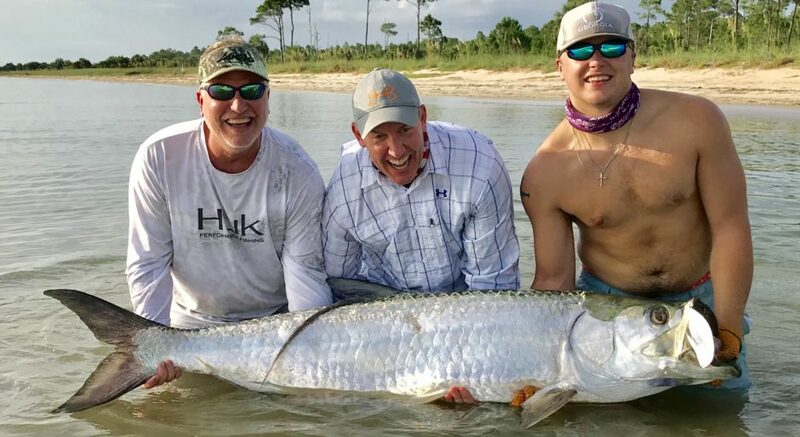 Posted in Fishing Charter Recent Posts	| Comments Off on Sight Fishing At It’s Best!! After catching several singles, Capt Steve and I doubled up 7 times and left ‘em biting!!! Posted in Fishing Charter Pictures	| Comments Off on Redfish Mania!! Vacation Accommodations Update Post Hurricane! Posted in Fishing Charter Pictures	| Comments Off on Vacation Accommodations Update Post Hurricane! Happy New Year everyone!!! A lot of memories were made in 2018, let’s make some more in 2019!!! Book your trip today!! Posted in Fishing Charter Recent Posts	| Comments Off on Happy New Year!! !